Coventry City Limited liquidated – set for 15 point deduction. The Football League kicks off it’s 125th year celebrations later this evening, with Sheffield United v Notts County opening the 2013/2014 Football League calendar, but today one of it’s oldest clubs has been liquidated. Coventry City have entered liquidation, and look likely to kick off their 2013/2014 season with at least a 15 point deduction and will play their ‘home’ games at Northampton Town’s Sixfields stadium. 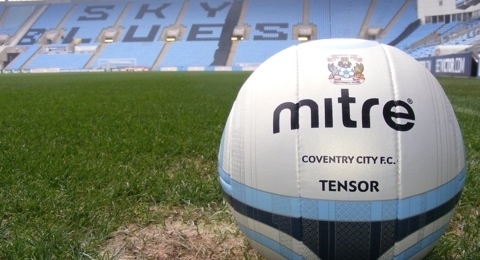 The move follows a meeting on Friday morning with Coventry’s major creditor, Arena Coventry Limited (ACL), the company that owns the Ricoh Arena – City’s home since leaving Highfield Road in 2005. ACL refused to accept the Company Voluntary Agreement (CVA) that was put before them, forcing Coventry City Ltd, one of the club’s constituent parts, into liquidation. The club were deducted 10 points last season for going into administration, a situation which arose after the football club failed to pay £1.2m in rent for the use of the Ricoh Arena, and now the Football League must now assess the situation. ACL are understood to have offered Coventry the opportunity to remain at the Ricoh Arena on much reduced rent of £150,000 a year whilst they remained in League One, and £400,000 should they gain promotion back to The Championship, but that option now appears unlikely despite thousands of fans lining the streets of the city in protest at the club moving to Northampton, even if only currently temporarily. “It is with great regret that a proposed Company Voluntary Agreement (CVA) has been rejected by Arena Coventry Limited (ACL),” read a statement from administrator, Paul Appleton on the club’s official website. “The football club and the Alan Higgs Centre Trust accepted the administrator’s CVA, but the City Council, through ACL, have chosen to reject it – leading to the risk of a 15-point deduction. Despite their problems off the field, Coventry are expected to fulfil their opening fixture of the League One season away to Crawley on Saturday. Former players including, George Boateng, Darren Huckerby and Steve Froggatt have all tweeted their disappointment and dismay at the outcome of today’s meeting. « 2013/2014 home shirt unveiled – not to be used until end of September.